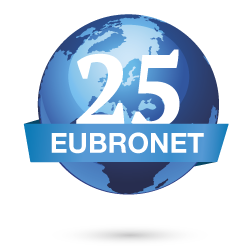 I have had the honor to serve Eubronet as a President from October 2009 till April 2015. As always, during this period all members have been learning from each other thanks to our open discussions regarding the latest issues in our profession during our different meetings we have had in Stockholm, Prague, New York City, Amsterdam, Brussels, Istanbul and Basel. Despite we are in Eubronet to share business in our aim to serve locally to our global customers, after 26 years, we have consolidated a great friendship making our meetings very enjoyable as we take advantage on the weekend where we have the meeting, to share nice tours, good food and better friends. On each meeting we have invited interesting professionals from Insurers such as RSA talking about International Survey Organization for International clients, or CHARTIS explaining the new ( now old) structure in Europe and how to insure international exposures for personal lines. We have invited AmWINS giving an interesting approach on D&O and Cyber Insurance from the other side of the Atlantic ocean or AEGON talking about customer loyalty, ALLIANZ showing their Cross Border Solution and ZURICH Global Corporate talking about Compliance in International Programs. I appreciate the support given by the Board and most members in our different meetings and tasks. I want to make a special mention to our retired friends who have left the network ( we are going to miss you). To me it has been a great experience and now I encourage the new president to preserve the essence that makes Eubronet a unique broker network.